Matched had no choices. The ocean world of Atlantia has a choice that can only destroy you. Above or below? Which will you pick? 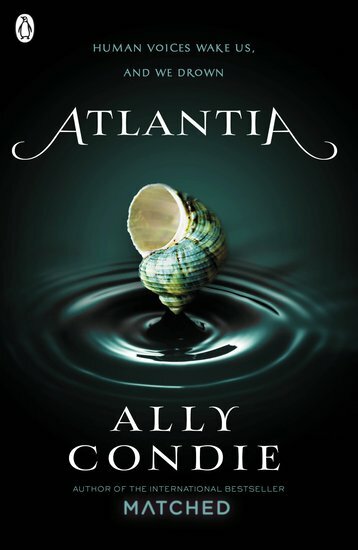 Let’s face it: there’s an urgent question on the lips of every Ally Condie fan right now. Can she match Matched? Phew: we needn’t have worried. This new book also has a soul-rending choice, dark betrayals, cute guys and epic conflicts. You will NOT be disappointed! Twin sisters Rio and Bay live in Atlantia: a great underwater city. Now they’re about to make the biggest choice of their lives. To stay Below: losing their true souls but living happily. Or to go Above, keeping their souls but living in misery. Nope: no spoilers here. You’ve gotta read it to know what they decide!